PETER speaks of holy women of the olden time, and Paul writes of women who laboured with him in the Gospel. It has been my lot to know something of the ministering women in Primitive Methodism. My first class leader, Mr. Thomas Cram, of Hogsthorpe, Lincolnshire, used to speak of his conversion under the preaching of a pioneer female preacher, who found her way to our village and took her stand in the open-air. Who she was I know not, but Mr. Cram’s daughter has told me that she remembered a Fanny Birch as one of the early preachers entertained at her father’s house. Our connexional history tells of a Francis Birch, who, in 1820, missioned several places in south-east Lincolnshire, including Alford and. Bilsby. Whether there was any relationship between Francis and Fanny Birch, I am not able to say, but it appears that Lincolnshire, both south and north, was entered by our preachers about the same time, and that one of these early labourers was a female. An aged relative of mine recollects a travelling preacher in Louth Circuit, of the name of Elizabeth Rowbotham, coming to Mrs. Sutton’s house at Addlethorpe on a Saturday afternoon, having walked twenty miles from the circuit town, preaching in the kitchen at night, and taking her three appointments on the following Sabbath. One of the first local preachers in the Alford part of Louth Circuit was a Susan Chantrey, of Saleby (Suke Chauntry I heard an old man call her). At the same place there lived also a good man of the name of William Cash, who declared once at a public meeting, ‘Friends, I am determined to kill the devil, or the devil shall kill me.’ These two persons died in the faith a few years ago, the one a bachelor, the other a spinster; both of them respected and faithful labourers in the Lord’s vineyard. I remember Miss Chantrey’s tall, manly aspect, and her form, as I saw it when a boy, closely wrapped round and buttoned up in an ancient-looking grey cloak such as were then worn by females. However distant the place of her appointment, she used to return home at night, frequently in the dark, and along miry and dangerous roads, environed by the marsh-dykes and drains. Mrs. Grice, of West Bromwich, with whom I was associated at three or four anniversaries, was a lady-like person, gentle, yet dignified, graceful and gracious in her pulpit appearance and efforts. I remember hearing her from that text in Malachi: ‘Then they that feared the Lord spake often to one another.’ She gave us in extenso the typical class-meeting experiences, both joyous and sorrowful, with so much insight, sympathy and unction, that some wept, others smiled, and a few shouted. Miss M.C. Buck was as masculine a preacher as the lady just named was feminine. For some years she was a regular travelling preacher, and then for another term of years she was a very popular preacher at anniversaries, &c. Her eloquence and her arguments were of a robust and lofty character. As to the length of her addresses she did not spare herself – or her hearers. I was with her once in the pulpit when she prayed for half-an-hour, and then preached for a whole hour. No wonder that under undue strain her great strength gave way, so that for a considerable period before her life’s close she was in a condition of most pitiable weakness and prostration. What, I wonder, were her thoughts during that period? A brilliant career, even as a preacher, is not the most favourable for the cultivation of personal piety, and God in mercy sometimes grants HIs servants time for prolonged reflection after their active labours are over. Another lady preacher I have met with was a Mrs. Pickles, of Blackburn, who was usually accompanied by her female servant, who took part in the services conducted by her mistress. One seemed the more humble and the other more aspiring of the two. Mrs. Pickles gave us a lengthy passage from Pollock‘s ‘Course of Time,’ a book very popular at that time, and one which preachers frequently quoted, as they now quote Browning or Tennyson. Milton, Cowper, and especially Dr. Young’s ‘Night Thoughts’ were the sources most frequently drawn upon for quotation in those days. The next name I have to mention is one well known for many years, and still remembered in Grimsby Circuit and other parts of North-east Lincolnshire – Mrs. Sarah Moody, whom the Rev. G. Austin once announced as ‘the Rev. Sally Moody,’ and if goodness and faithfulness entitle a preacher, whether male or female, to reverence and respect, then Mrs. Moody was worthy of the style and title thus humorously accorded her. She preached the Gospel with great point and force, in a way calculated to make sinners tremble and saints rejoice – the lukewarm to bestir themselves, and the backsliding to retrace their steps. While engaged as a supply for a sick preacher in Louth Circuit she was invited to a house one day where she found the poor mother trying to do two things at once, rock the cradle and wash the floor. She immediately undertook the former duty herself and left a pair of hands to finish the floor-washing. St. Paul tells us that one thing by which he won his way was kindness, and so it has been extensively with our ministers, both lay and itinerant, male and female. By helpfulness in many ways they have commended themselves to those whom they sought to benefit spiritually. The first female preacher I recollect hearing outside our own circuit was the late Mrs. Harland; it was at Thealby chapel opening in the Brigg Station in 1840. Mrs. Longmires was her name then, and if I am correctly informed she left her home in one of the northern dales of Yorkshire, while quite young, and under the pressure of persecution, to become one of that numerous band of women who helped to spread the Gospel and Primitive Methodism at an early period of our denominational history. 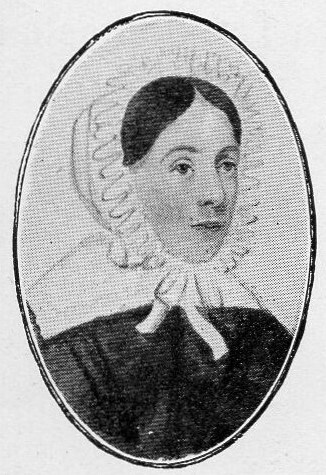 Mrs. Longmires settled at Gainsborough, and for many years was one of the most popular and effective preachers in what was then the Hull District. She became the ‘helpmeet’ and helper in the Gospel, first of the Rev. W. Lonsdale, and then of the Rev. W. Harland. Her sermons were masterpieces – well prepared and well delivered in a deep-toned voice and with solemn earnestness. One of her texts and discourses I remember – it was on ‘the servant of the Lord walking in darkness and having no light.’ It was very comforting and inspiring to listen to the exposition. Another minister’s wife I heard preach was Mrs. Ride, whose husband was a famous home missionary. His sermons consisted mainly of detached thoughts and sentences; hers were more continuous and expository, and were delivered in a quiet and pleasing manner. In the diaries and journals which it was the custom of preachers to keep in those days I have the names of other ‘daughters that prophesied ’ – a Miss Vickers of Sowerby Bridge, Miss Lowe at Macclesfield, and a Miss Hubbald of Ashbourne in Derbyshire. The last-named, whilst indulging in very self disparaging remarks, was rebuked by a minister present who said, ‘If I did not know you, Miss H——, I should think you were fishing for applause.’ In villages near Louth and Grimsby, I have met with ancient folk who remembered Ann Carr and her visits to those parts. A female member at Cleethorpes told me that when a girl she was converted at a prayer meeting which Nancy Carr held at her lodgings one morning after breakfast. If Paul mentions by name some of his female helpers in the Lord, I trust I may be excused making similar mention of some godly ministering women I have known in our Connexion, recording at the same time my thankfulness that the succession of female preachers and workers in our churches is not likely to fail. The ‘sisters’ are still to the front. A lady delegate was sent by one of the Districts to the last Conference, and there are many indications that God has not forgotten His ancient promise: ‘On my servants and on my handmaidens will I pour out in those days of my Spirit, and they shall prophesy.